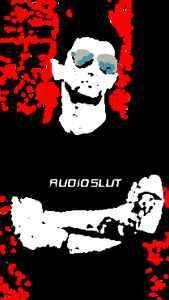 Shaun 'Tays' Collins aka The Audioslut, shaping noises into musick from 1988 to the present day. Previously a fleeting member of Tinnitus (NZ experimental collective), Beautiful, Afflicted Flesh and solo as Affliction Addiction and Testosterone Plus. Now remixing other artists, composing film soundtracks (22 shorts & 1 feature with Brent Hayward), releasing the odd record and the occasional stint in the producers chair.